Adding new endemic bird species to your private birdlist during your stay in the rainforest of Sri Lanka, or just enjoying the hummingbirds in Panamá, the excitement of dolphins along the boat at sea a few moments after you saw your first great shearwater passing by on the ocean, the wallcreeper in Bulgaria or Bhutan, the azure morpho butterflies in Suriname.. . . . . . . . These and many more experiences we offer you as guest of Blue Elephant. We are a small scale touroperator that offer visitors an unforgettable birding experience in choice of superb birding sites. Reputable birding tour operators will handle seemlesly all transportation and lodging needs in a timely and personalized manner. We are right where you want to be. We allow our guests to have an authentic experience. By choosing us, you participate to the sustainable development of countries, where you go enjoying birds and other nature. You will also be charmed by the friendliness of the people who welcome you in their homeland, the special local meals and the beauty of surroundings. read more about our destinations. Herewith we like to give you an idea on how we are continuously working on our tours to meet entirely to your wishes. Every year we have some new tours in the programme and some other tours remain part of our travel programme. Blue Elephant organizes tours for groups and private customized tours, tailor made to your wishes. Private customized tours We organise tours for you, completely to your own preferences. These itineraries can be composed to your special wishes. What you want to see and visit, the type of accommodation you want, type of transport, the degree of freedom or guidance, how much time you want to spend to culture besides nature. You make such a tour alone, or with more people with whom you sign up together. Group tours – essentials for small groups Blue Elephant organizes tours for small groups, ranging from 4 to 8 people. To avoid disturbing birds and other animals as much as possible and to allow the guide to pay adequate personal attention to all participants. This also allows greater opportunity to meet personal needs, such as photography. Quality and safety are paramount at Blue Elephant. All Blue Elephant tours are carefully prepared so that the entire process from start to return is as comfortable as possible. Quality also means that we do not hurry. Observing is more important than hiking or quick trips. Slowly so there is time for photography and enjoy. For air travel, we strive for direct flights. Accommodations are clean and well kept. 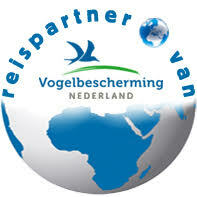 In most countries Blue Elephant co-operates with local conservation organisations. They provide the local guide who knows exactly where we can find the birds and where to be to do best observations. Travel guidance All group tours are accompanied by enthusiastic and knowledgeable tour guides from the beginning to the end of the journey. For individual tours a guide will accompany you only if you desire a guide. They are not only the superb bird guides, but they also like to share with you knowledge about habits and culture of their country. A bird or nature tour is purely enjoying. For that special bird or nature tours Blue Elephant has an annual programme of familiar and new destinations.